This is my 10th year participating in one of the best art walks in Portland! The neighborhood is home to many artists who will be showcasing their work, and this year I will be hosted by Realty Trust, 5015 SE Hawthorne. Visit the MTAW website for a free map: Mt. 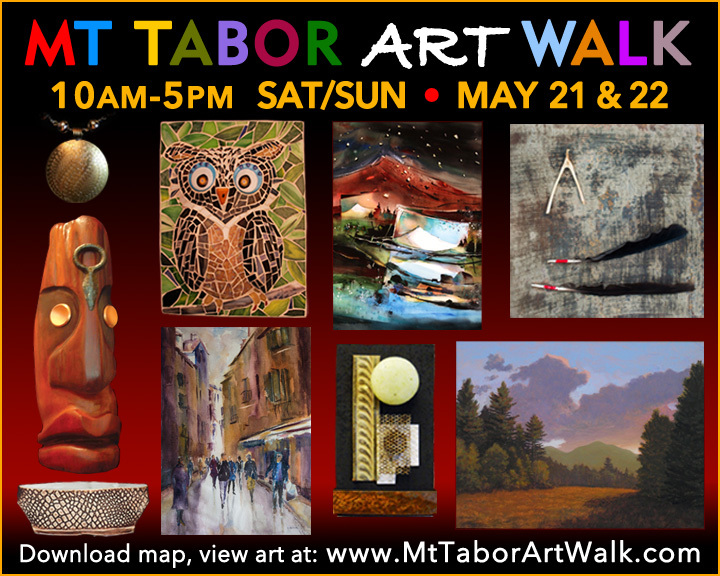 Tabor Art Walk I will have new drawings on display, plus I’ll be working on a new painting at the show! 10am to 5pm Saturday & Sunday, May 21-22.